The consumer drone market has expanded greatly over the last few years, with almost 3 million units shipped during 2017. This upward trend is likely to continue. Analyst firm Statista forecasts that the commercial drone business will be worth $6.4 billion annually by 2020, while Global Market Insights has predicted that the worldwide drone market will grow to $17 billion (with the consumer category accounting for $9 billion of that). As new products are continually being introduced into what is already an acutely overcrowded marketplace, a differentiated offering is therefore critical to a successful product. One of the newest and most exciting entrants into this crowded drone market, Tello, features functionality that sets it apart from rival offerings. Tello is manufactured by Shenzhen-based start-up Ryze Tech, a subsidiary of well-known brand DJI, which is the world’s largest producer of drones and unmanned aerial vehicles (UAVs). With a 13 minute runtime, plus a flight distance of up to 100 meters, this is an extremely maneuverable and compact quadcopter drone. It weighs just 80 grams and can fit into the palm of a typical teenager’s hand (with dimensions of 98 x 92.5 x 41 millimeters). The two main goals of the Tello are fun and education. To that end, a smartphone App-based control provides a fun user interface for everyone, including young people, to play with. The educational goal is met through an easy to program visual layout that allows users to write their own code using the comprehensive software development kit (SDK) included in the package. What really distinguishes Tello from other drones, however, is the breadth of its imaging capabilities – and this is where engaging with Marvell has proven pivotal. Tello’s original drone design requirement called for livestreaming 720p MP4 format video, using its 5 Megapixel image sensor, back to the user’s smartphone or tablet even while traveling at its maximum speed of 8 meters/second. This called for interoperability testing with a broad array of smartphone and tablet models. Due to its small size, conserving battery life would be a key requirement, which meant ultra-low power consumption by Wi-Fi®. Underlying all of this was the singular requirement for a strong wireless connection to be maintained at all times. Finally, as is always the case, Wi-Fi would need to fit in the low bill of materials for the product. Initial discussions between technical teams at Ryze and Marvell revealed a perfect match between the features offered on the Marvell® 1×1 802.11n single-band Wi-Fi system-on-chip (SoC) and the Wi-Fi requirements for the Tello drone project. This chip was already widely adopted in the market and established itself as a proven solution for various customer applications, including video transmission in IP cameras, mobile routers, IoT gateways etc. Ryze chose this chipset, banking on its reliability while transmitting high-definition video over the air, exceptional RF performance over range while offering ultra-low power operation, all at a competitive price point. Marvell’s Wi-Fi SoC is a highly integrated, single-band (2.4GHz) IC that delivers IEEE® 802.11b/g/n operation in a single spatial stream (1 SS) configuration. It incorporates a power amplifier (PA), a low noise amplifier (LNA) and a transmit/receive switch. Quality of Service (QoS) is guaranteed through the 802.11e standard implementation. The Wi-Fi SoC’s compliance with the 802.11i security protocol, plus built-in wired equivalent privacy (WEP) algorithms, enable 128-bit encryption of transmitted data, thereby protecting the data from being intercepted by third parties. All of these hardware features are supported by Marvell’s robust Wi-Fi software, which includes a small footprint and full featured Wi-Fi firmware tied in with the hardware level features. Specific features such as infrastructure mode operation were developed to enable the functionality desired by Ryze for the Tello. Marvell’s industry-leading Wi-Fi technology has enabled an exciting new user experience in the Tello, at a level of sophistication that previously would only have been seen in expensive, professional-grade equipment. In order to bring this professional quality experience to an entry-level drone model meant that significant power, performance and cost barriers were overcome. As we enter the 802.11ax era of Wi-Fi industry transition, expect Marvell to launch first-to-market, ever more envelope-pushing, technological advances such as uplink OFDMA. Why is 802.11ax a “must have” for the connected car? While such a use case could potentially rely on LTE/5G cellular technology, the costs associated with employing such a “licensed pipe” would be prohibitively expensive. In such situations, the new Wi-Fi® standard 802.11ax, also known as high efficiency wireless (HEW), will be a life saver for the automotive industry. The zettabytes of data that cars equipped with a slew of sensors will create in the years to come will all need to be uploaded to the cloud and data centers, enabling next-generation machine learning in order to make driving increasingly safe and predictable in the future. Uploading this data will, of course, need to be done both securely and reliably. Take the example of a parking lot outside an auto plant containing hundreds of brand new cars requiring some of their software to be updated. Here, too, 802.11ax can come to the rescue by making a mass update more efficient and reliable. This advantage will then carry forward for the rest of the lifespan of each car, since it can never be predicted what sort of wireless connectivity environment these cars will encounter. These could be challenging environments like garages, driveways, and maybe even parking decks. The modulation enhancements that 802.11ax delivers, coupled with MU-MIMO and OFDMA features, will ensure that the most efficient and reliable Wi-Fi pipe is always available for such a critical function. Given that a car can easily be on the road for close to a decade, having this functionality built in from day one would be a tremendous advantage and could enable significant cost savings. Again, accompanying technologies like Wake on Bluetooth® Low Energy and Bluetooth Low Energy Long Range will also play a pivotal role in ensuring this use case is realized from an overall end-to-end system standpoint. 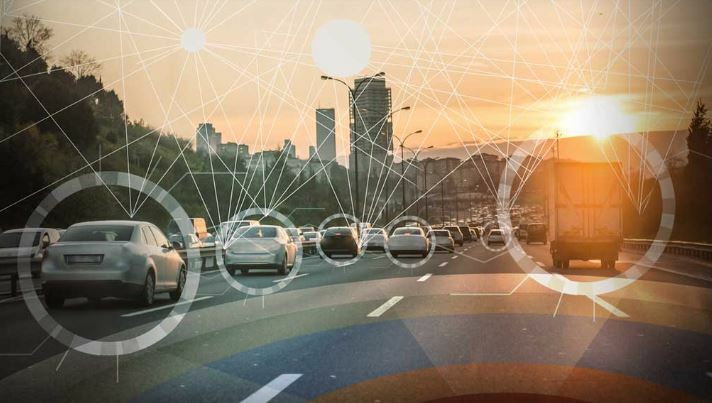 These two infrastructure type use cases are likely to be tremendous value-adds for the connected car and can justify the presence of 802.11ax, especially from an automobile manufacturers’ point of view. Even consumers are likely to see significant benefits in their vehicle dashboards where the mobile APs in their infotainment systems will be able to seamlessly connect to their latest smartphone handsets (which will themselves be 802.11ax capable within the 2019 timeframe). Use cases like Wireless Apple CarPlay®, Wireless Android Auto™ Projection, rear seat entertainment, wireless cameras, etc. will all be a breeze given the additional 30-40% throughput enhancement in 802.11ax (and the backward compatibility this standard has with previous Wi-Fi standards for such use cases to cooperatively coexist). Just as in homes, the number of Wi-Fi endpoints in cars is also proliferating. The 802.11ax standard is the only well-designed path for an increasing number of endpoints and yet provides the best user experience. Marvell has been a pioneer in designing Wi-Fi/Bluetooth combo devices for the automotive market since the debut of such devices in cars in 2011. With actual development beginning almost a decade ago, Marvell’s automotive wireless portfolio has been honed to address key use cases over five generations of products, through working closely with OEMs, Tier 1s and Tier 2s. 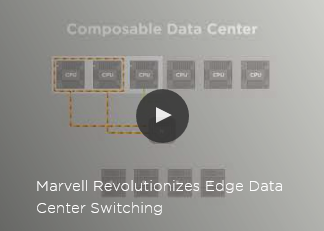 All the technologies needed to achieve the various use cases described above have been incorporated into Marvell’s fifth generation device. Coupled with Marvell’s offering for enterprise class, high-performance APs, Marvell remains committed to providing the automobile industry and car buyers with the best wireless connectivity experience — encompassing use cases inside and outside of the car today, and well into the future. Standardized in 1997, Wi-Fi has changed the way that we compute. Today, almost every one of us uses a Wi-Fi connection on a daily basis, whether it’s for watching a show on a tablet at home, using our laptops at work, or even transferring photos from a camera. Millions of Wi-Fi-enabled products are being shipped each week, and it seems this technology is constantly finding its way into new device categories. Since its humble beginnings, Wi-Fi has progressed at a rapid pace. While the initial standard allowed for just 2 Mbit/s data rates, today’s Wi-Fi implementations allow for speeds in the order of Gigabits to be supported. This last in our three part blog series covering the history of Wi-Fi will look at what is next for the wireless standard. The latest 802.11 wireless technology to be adopted at scale is 802.11ac. It extends 802.11n, enabling improvements specifically in the 5.8 GHz band, with 802.11n technology used in the 2.4 GHz band for backwards compatibility. By sticking to the 5.8 GHz band, 802.11ac is able to benefit from a huge 160 Hz channel bandwidth which would be impossible in the already crowded 2.4 GHz band. In addition, beamforming and support for up to 8 MIMO streams raises the speeds that can be supported. Depending on configuration, data rates can range from a minimum of 433 Mbit/s to multiple Gigabits in cases where both the router and the end-user device have multiple antennas. If that’s not fast enough, the even more cutting edge 802.11ad standard (which is now starting to appear on the market) uses 60 GHz ‘millimeter wave’ frequencies to achieve data rates up to 7 Gbit/s, even without MIMO propagation. The major catch with this is that at 60 GHz frequencies, wireless range and penetration are greatly reduced. Now that we’ve achieved Gigabit speeds, what’s next? Besides high speeds, the IEEE 802.11 working group has recognized that low speed, power efficient communication is in fact also an area with a great deal of potential for growth. While Wi-Fi has traditionally been a relatively power-hungry standard, the upcoming protocols will have attributes that will allow it to target areas like the Internet of Things (IoT) market with much more energy efficient communication. Although it has been around for two whole decades as a standard, Wi-Fi has managed to constantly evolve and keep up with the times. From the dial-up era to broadband adoption, to smartphones and now as we enter the early stages of IoT, Wi-Fi has kept on developing new technologies to adapt to the needs of the market. If history can be used to give us any indication, then it seems certain that Wi-Fi will remain with us for many years to come. This is the second instalment in a series of blogs covering the history of Wi-Fi®. While the first part looked at the origins of Wi-Fi, this part will look at how the technology has progressed to the high speed connection we know today. By the early years of the new millennium, Wi-Fi quickly had started to gain widespread popularity, as the benefits of wireless connectivity became clear. Hotspots began popping up at coffee shops, airports and hotels as businesses and consumers started to realize the potential for Wi-Fi to enable early forms of what we now know as mobile computing. Home users, many of whom were starting to get broadband Internet, were able to easily share their connections throughout the house. Thanks to the IEEE® 802.11 working group’s efforts, a proprietary wireless protocol that was originally designed simply for connecting cash registers (see previous blog) had become the basis for a wireless networking standard that was changing the whole fabric of society. The advent of 802.11b, in 1999, set the stage for Wi-Fi mass adoption. Its cheaper price point made it accessible for consumers, and its 11 Mbit/s speeds made it fast enough to replace wired Ethernet connections for enterprise users. Driven by the broadband internet explosion in the early years post 2000, 802.11b became a great success. Both consumers and businesses found wireless was a great way to easily share the newfound high speed connections that DSL, cable and other broadband technologies gave them. As broadband speeds became the norm, consumer’s computer usage habits changed accordingly. Higher bandwidth applications such as music/movie sharing and streaming audio started to see increasing popularity within the consumer space. Meanwhile, in the enterprise market, wireless had even greater speed demands to contend with, as it was competing with fast local networking over Ethernet. Business use cases (such as VoIP, file sharing and printer sharing, as well as desktop virtualization) needed to work seamlessly if wireless was to be adopted. Even in the early 2000’s, the speed that 802.11b could support was far from cutting edge. On the wired side of things, 10/100 Ethernet was already a widespread standard. At 100 Mbit/s, it was almost 10 times faster than 802.11b’s nominal 11 Mbit/s speed. 802.11b’s protocol overhead meant that, in fact, maximum theoretical speeds were 5.9 Mbit/s. In practice though, as 802.11b used the increasingly popular 2.4 GHz band, speeds proved to be lower than that still. Interference from microwave ovens, cordless phones and other consumer electronics, meant that real world speeds often didn’t reach the 5.9 Mbit/s mark (sometimes not even close). To address speed concerns, in 2003 the IEEE 802.11 working group came out with 802.11g. Though 802.11g would use the 2.4 GHz frequency band just like 802.11b, it was able to achieve speeds of up to 54 Mbit/s. Even after speed decreases due to protocol overhead, its theoretical maximum of 31.4 Mbit/s was enough bandwidth to accommodate increasingly fast household broadband speeds. Actually 802.11g was not the first 802.11 wireless standard to achieve 54 Mbit/s. That crown goes to 802.11a, which had done it back in 1999. However, 802.11a used a separate 5.8 GHz frequency to achieve its fast speeds. While 5.8 GHz had the benefit of less radio interference from consumer electronics, it also meant incompatibility with 802.11b. That fact, along with more expensive equipment, meant that 802.11a was only ever popular within the business market segment and never saw proliferation into the higher volume domestic/consumer arena. By using 2.4 GHz to reach 54 Mbit/s, 802.11g was able to achieve high speeds while retaining full backwards compatibility with 802.11b. This was crucial, as 802.11b had already established itself as the main wireless standard for consumer devices by this point. Its backwards compatibility, along with cheaper hardware compared to 802.11a, were big selling points, and 802.11g soon became the new, faster wireless standard for consumer and, increasingly, even business related applications. Introduced in 2009, 802.11n made further speed improvements upon 802.11g and 802.11a. Operating on either 2.4 GHz or 5.8 GHz frequency bands (though not simultaneously), 802.11n improved transfer efficiency through frame aggregation, and also introduced optional MIMO and 40 Hz channels – double the channel width of 802.11g. 802.11n offered significantly faster network speeds. At the low end, if it was operating in the same type of single antenna, 20 Hz channel width configuration as an 802.11g network, the 802.11n network could achieve 72 Mbit/s. If, in addition, the double width 40 Hz channel was used, with multiple antennas, then data rates could be much faster – up to 600 Mbit/s (for a four antenna configuration). The third and final blog in this series will take us right up to the modern day and will also look at the potential of Wi-Fi in the future. The automotive industry has always been a keen user of wireless technology. In the early 1980s, Renault made it possible to lock and unlock the doors on its Fuego model utilizing a radio transmitter. Within a decade, other vehicle manufacturers embraced the idea of remote key-less entry and not long after that it became a standard feature. Now, wireless technology is about to reshape the world of driving. The first key-less entry systems were based on infra-red (IR) signals, borrowing the technique from automatic garage door openers. But the industry swiftly moved to RF technology, in order to make it easier to use. Although each manufacturer favored its own protocol and coding system, they adopted standard low-power RF frequency bands, such as 315 MHz in the US and 433 MHz in Europe. As concerns about theft emerged, they incorporated encryption and other security features to fend off potential attacks. They have further refreshed this technology as new threats appeared, as well as adding features such as proximity detection to remove the need to even press the key-fob remote’s button. The next stage in favor of convenience was to employ Bluetooth instead of custom radios on the sub-1GHz frequency band so as to dispense with the keyfob altogether. With Bluetooth, an app on the user’s smartphone can not only unlock the car doors, but also handle tasks such as starting the heater or air-conditioning to make the vehicle comfortable ready for when the driver and passengers actually get in. Bluetooth itself has become a key feature on many models over the past decade as automobile manufacturers have looked to open up their infotainment systems. Access to the functions located on dashboard through Bluetooth has made it possible for vehicle occupants to hook up their phone handsets easily. Initially, it was to support legal phone calls through hands-free operation without forcing the owner to buy and install a permanent phone in the vehicle itself. But the wireless connection is just as good at relaying high-quality audio so that the passengers can listen to their favorite music (stored on portable devices). We have clearly move a long way from the CD auto-changer located in the trunk. Bluetooth is a prime example of the way in which RF technology, once in place, can support many different applications – with plenty of potential for use cases that have not yet been considered. Through use of a suitable relay device in the car, Bluetooth also provides the means by which to send vehicle diagnostics information to relevant smartphone apps. The use of the technology for diagnostics gateway points to an emerging use for Bluetooth in improving the overall safety of car transportation. But now Wi-Fi is also primed to become as ubiquitous in vehicles as Bluetooth. Wi-Fi is able to provide a more robust data pipe, thus enabling even richer applications and a tighter integration with smartphone handsets. One use case that seems destined to change the cockpit experience for users is the emergence of screen projection technologies. Through the introduction of such mechanisms it will be possible to create a seamless transition for drivers from their smartphones to their cars. This will not necessarily even need to be their own car, it could be any car that they may rent from anywhere in the world. One of the key enabling technologies for self-driving vehicles is communication. This can encompass vehicle-to-vehicle (V2V) links, vehicle-to-infrastructure (V2I) messages and, through technologies such as Bluetooth and Wi-Fi, vehicle-to-anything (V2X). V2V provides the ability for vehicles on the road to signal their intentions to others and warn of hazards ahead. If a pothole opens up or cars have to break suddenly to avoid an obstacle, they can send out wireless messages to nearby vehicles to let them know about the situation. Those other vehicles can then slow down or change lane accordingly. The key enabling technology for V2V is a form of the IEEE 802.11 Wi-Fi protocol, re-engineered for much lower latency and better reliability. IEEE 802.11p Wireless Access in Vehicular Environments (WAVE) operates in the 5.9 GHz region of the RF spectrum, and is capable of supporting data rates of up to 27 Mbit/s. One of the key additions for transportation is scheduling feature that let vehicles share access to wireless channels based on time. Each vehicle uses the Coordinated Universal Time (UTC) reading, usually provided by the GPS receiver, to help ensure all nearby transceivers are synchronised to the same schedule. A key challenge for any transceiver is the Doppler Effect. On a freeway, the relative velocity of an approaching transmitter can exceed 150 mph. Such a transmitter may be in range for only a few seconds at most, making ultra-low latency crucial. But, with the underlying RF technology for V2V in place, advanced navigation applications can be deployed relatively easily and extended to deal with many other objects and even people. V2I transactions make it possible for roadside controllers to update vehicles on their status. Traffic signals, for example, can let vehicles know when they are likely to change state. Vehicles leaving the junction can relay that data to approaching cars, which may slow down in response. By slowing down, they avoid the need to stop at a red signal – and thereby cross just as it is turning to green. The overall effect is a significant saving in fuel, as well as less wear and tear on the brakes. In the future, such wireless-enabled signals will make it possible improve the flow of autonomous vehicles considerably. The traffic signals will monitor the junction to check whether conditions are safe and usher the autonomous vehicle through to the other side, while other road users without the same level of computer control are held at a stop. Although many V2X applications were conceived for use with a dedicated RF protocol, such as WAVE for example, there is a place for Bluetooth and, potentially, other wireless standards like conventional Wi-Fi. Pedestrians and cyclists may signal their presence on the road with the help of their own Bluetooth devices. The messages picked up by passing vehicles can be relayed using V2V communications over WAVE to extend the range of the warnings. Roadside beacons using Bluetooth technology can pass on information about local points of interest – and this can be provide to passengers who can subsequently look up more details on the Internet using the vehicle’s built-in Wi-Fi hotspot. One thing seems to be clear, the world of automotive design will be a heterogeneous RF environment that takes traditional Wi-Fi technology and brings it together with WAVE, Bluetooth and GPS. It clearly makes sense to incorporate the right set of radios together onto one single chipset, which will thereby ease the integration process, and also ensure optimal performance is achieved. This will not only be beneficial in terms of the design of new vehicles, but will also facilitate the introduction of aftermarket V2X modules. In this way, existing cars will be able to participate in the emerging information-rich superhighway.